¡Mirada científica, coming at you through the radiowaves! 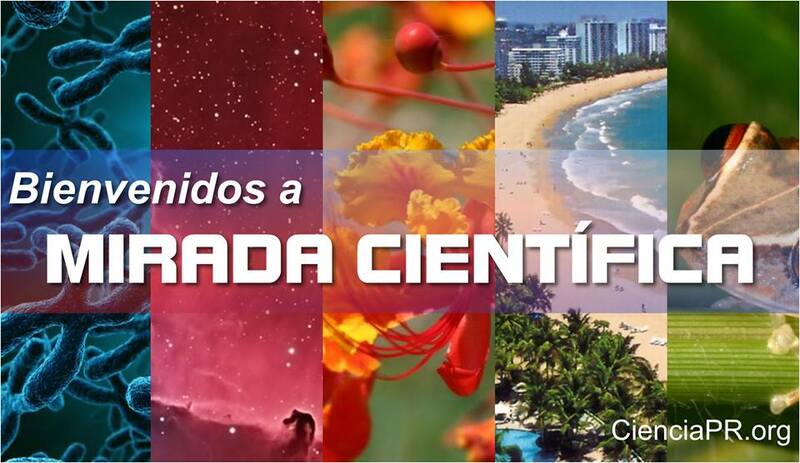 We are pleased to announce that podcast 'Mirada Científica', produced by Enrique Vargas for Ciencia Puerto Rico, has gone ON AIR! Starting this month, every Tuesday and Sunday from 5:30 to 6:00 pm, Mirada Científica will be heard through WIPR 940 AM. The program also be aired every Wednesday at 4:30 pm through Radio Colegial, the radio station of the University of Puerto Rico, Mayaguez Campus. Both stations have website where you can hear their programming live, directly from your computer. We are very proud of Enrique Vargas, a member of our CienciaPR Team and a dedicated science communicator who has made Mirada Científica one of the best science podcasts in the world. His podcasts are a gift to Spanish-speaking listeneres and through them he helps us celebrate Puerto Rican science. Mirada Científica is an audio program with stories and interviews that explore the relationship between science and Puerto Rico. The format uses music, silence, ambient sounds and narrative elements to transport the listener into a mental and emotional journey that sparks your curiosity. Each podcast delves into a topic through discussions with scientists and experts on the subject using a precise language for the modern Puerto Rican who is eager to know more about the world of technology and scientific advances around you. All this to foster a love of science and Puerto Rico.